With consumers making more online purchases, marketers are closely tracking their shopping behaviors. Google recently introduced the third version of Google Commerce Search, a hosted enterprise product search that powers online retail stores and an e-commerce web site to provide a greater interactive experience for consumers. MediaPost.com reports that the updated version features instant search, product recommendations, local product availability and improved merchandising tools to help retailers develop promotions that can be displayed in banners beside related search queries. Now that retailers and advertisers have what they need to increase clicks, the question is when should they expect them? According to NetElixer, recent research tracking performance since 2008 shows that online purchases peak midday between 2 p.m. and 7 p.m. These results focused on online sales for traditional categories such as apparel, home furnishings, consumer electronics, and flowers and gifts. The study will analyze mobile in Q3 2011. For now, NetElixer says that search queries for women’s apparel peak between 10 p.m. and 1 a.m. EST. The later time suggests that women tend to browse and shop online after the family goes to sleep. 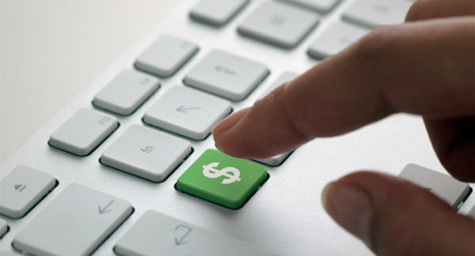 Approximately 3.7 clicks occur from the first click on a paid-search ad to the final click that converts to a sale. Flowers are usually ordered between 5 p.m. and 7 p.m., and most online searches for electronics occur between 9 p.m. and midnight EST with orders between 10 p.m. and midnight. Both orders and clicks are at their lowest in the early morning. Activity escalates during the course of the day, with clicks progressively increasing throughout the day and orders peaking in the afternoon. NetElixir’s findings are based on ongoing research for paid-search programs across 32 large retailers since October 2008. The study offers numerous recommendations for improving SEM effectiveness, including applying time-bound search tactics, and breaking down performance by the hour to significantly increase aggregate return on market investment. Still, search faces strong competition from social media. Other research suggests that search is steadily losing market share to social in the minds and the budgets of marketers at small to-medium-sized businesses. In fact, a 2011 MerchantCircle survey found that more than 70% of U.S. small businesses use Facebook for marketing, while two-thirds use Google paid search and only one-third use Bing. But with such advanced insight into clicks and conversions, search certainly has time on its side.